Stop everything you’re doing. It’s time to shop until you drop! From 23rd to 26th November, it’s a crazy weekend for all the shopaholics. We’ve also decided to take part and include a couple of things. Are any of our Oxygen passes in your shopping basket this Black Friday or Cyber Monday? For this weekend only we have not one but TWO incredible offers you’d be crazy to miss out on! 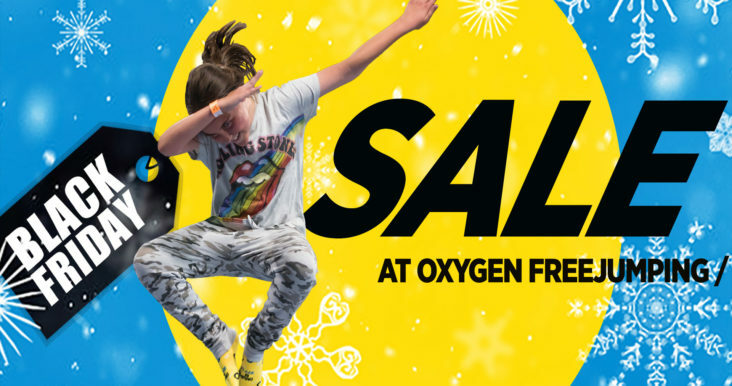 There are only 250 up for grabs across all our Oxygen parks so be quick! We also have both passes available for our Little O’s, because everyone deserves a jumping deal.